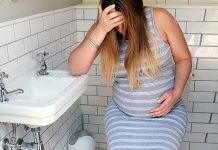 Progesterone is one of the most important hormones during pregnancy and this is why sometimes the doctors check the progesterone levels during pregnancy. In the majority of the cases the doctors prefer to see progesterone levels of 10 ng/ml at the early stages of pregnancy. In case the progesterone levels of pregnant women are very low, this may indicate a risk of miscarriage. If you happen to be concerned about this matter, it is best to talk about it with your health care provider. This is a hormone that is produced by the ovaries and its main purpose is to prepare the uterus for the pregnancy. At the beginning, the corpus luteum (that can be found in the uterus) produces it. After a while the production of the hormone is overtaken by the placenta. The levels of progesterone during pregnancy are important because this hormone creates the right environment for the development of the baby. It brings glycogen and blood to the endometrium. In the same time the same hormone is also responsible for regulating the menstrual cycle and it prepares the endometrium for implantation. It also maintains the lining of the uterus thick for the fertilized egg to get implanted. During pregnancy the hormones progesterone prevents the uterus from having contractions. In the same time, it makes the cervix thicker and it creates a mucus plug. This way it will be almost impossible for bacteria to reach the cervix and to lead to an infection during pregnancy. The right progesterone levels while being pregnant are of 9-47 ng/ml in the first trimester. 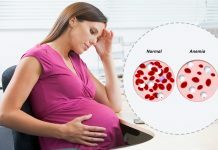 In the second trimester, the right level is of 17-147 ng/ml while in the last trimester the levels should be between 55 and 200 ng/ml to be sure that your pregnancy is healthy.